Winter is near, days are short. The good news is that in a few weeks the days will be lengthening again! 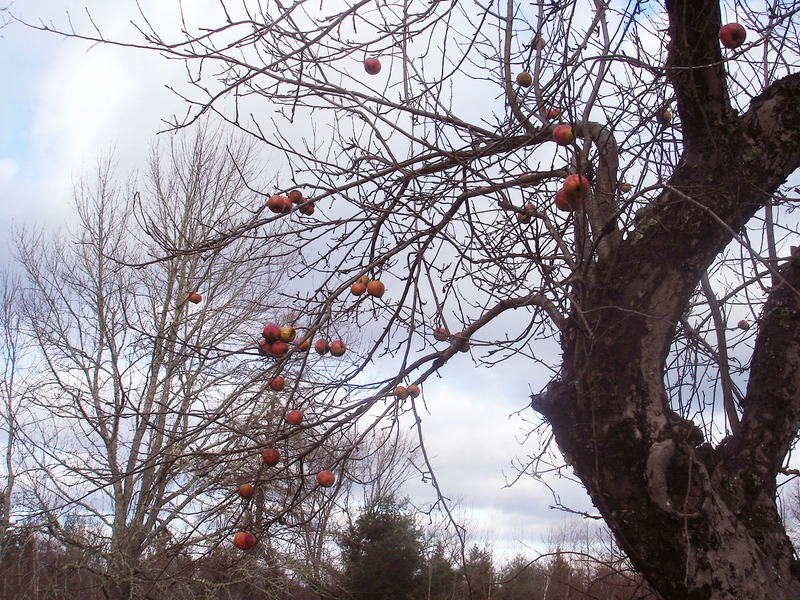 There are a few apples left on this late tree. It’s an heirloom apple that was planted long before I came here, and I am not sure what kind it is. It does ripen late, and the apples will keep in storage until March or April. Before that it’s not that tasty. It may be what some locally call a “Christmas apple,” presumably because it is good to eat about that time, but not before.